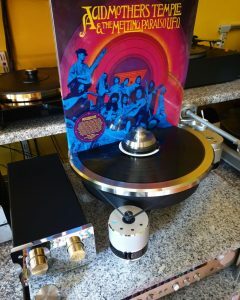 There are certain groups who began in the 60’s whose music has continued to be re-released time and again in audiophile editions and repackaged in various CD and vinyl configurations, sometimes even with bonus DVD’s or Blu-ray’s. 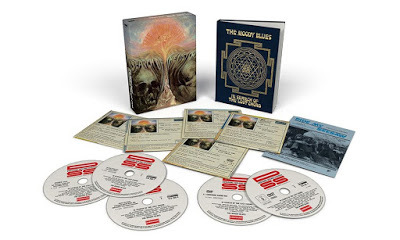 A group that is a natural for reissues that take advantage of formats that highlight albums originally recorded using superior recording technology, techniques and innovation and creative album packaging is the Moody Blues. Beginning in 1967 with its second album, Days of Future Past, which featured the classic Moody Blues lineup (Justin Hayward, John Lodge, Ray Thomas, Graeme Edge and Michael Pinder) the group has used the recording studio to push its visionary musical ideas by taking advantage of the most advanced recording studios and equipment, while also applying non-rock and pop instrumentation to create expansive and thematic timeless albums. 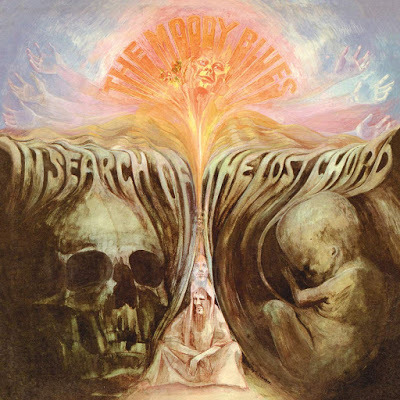 While various previous Moody Blues re-releases have boasted superior sound, sumptuous and detailed packaging and loads of extras, the group’s latest reissue of the 1968 album In Search of the Lost Chord (Polydor) is the most impressive reissue yet from a group known for taking full advantage of new releases of their classic back catalog. The beautiful package boasts 3 CD’s, 2 DVD’s and a hard-cover book in a DVD-sized box. It is the group’s third album, but the second that features the classic Moody Blues lineup. 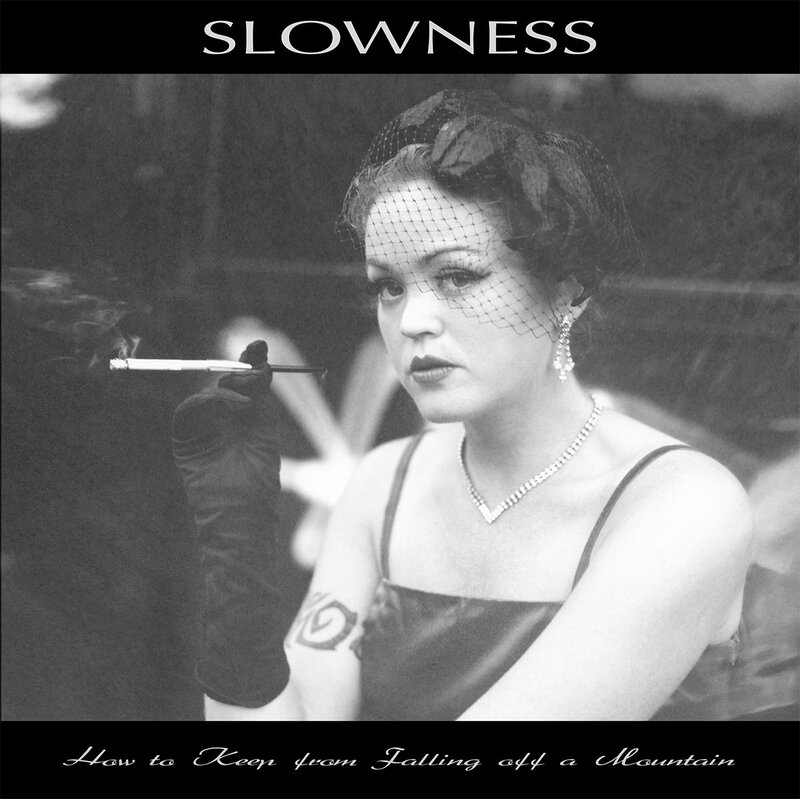 The CD’s include various new mono mixes, live British radio sessions and B-sides. The first DVD includes a 5.1 Surround Mix, a new stereo mix and the original stereo mix. 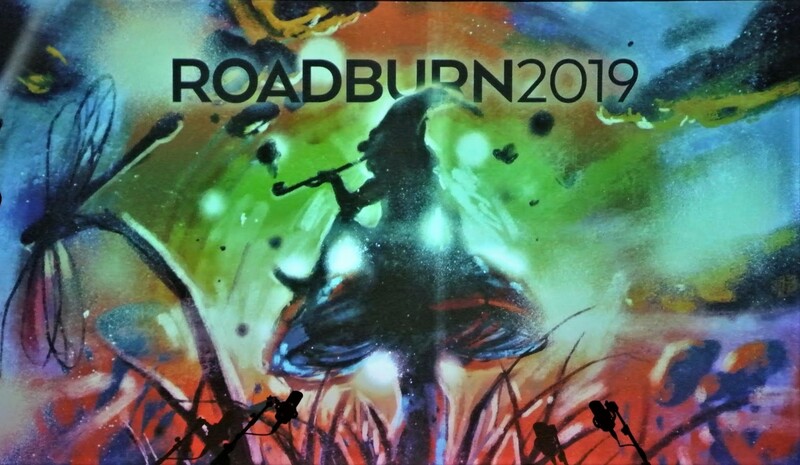 The second DVD contains live performances, including ten from the BBC TV special “Colour Me Pop: In Search of the Lost Chord.” This is a must-have for Moody Blues fans and easily one of the best reissue packages of the past year. 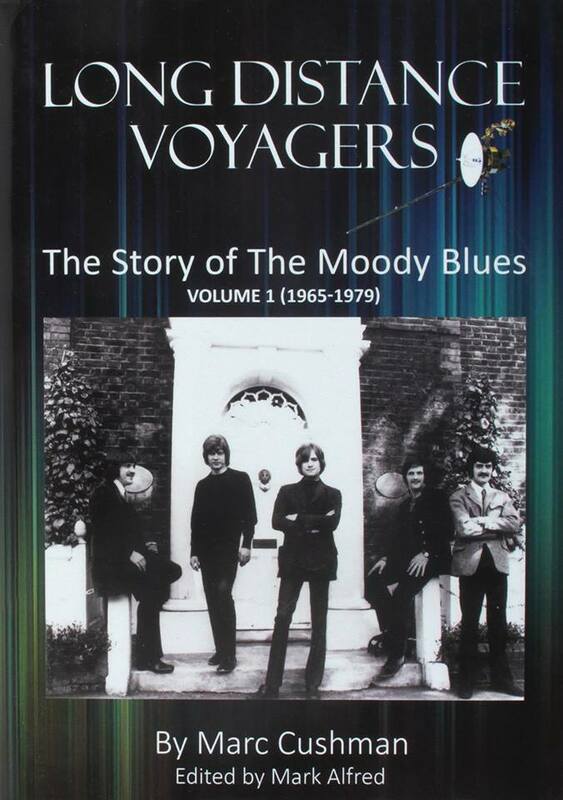 Moody Blues fans should also be on the lookout for Long Distance Voyagers: The Story of The Moody Blues Volume 1 (1965-1979) by Marc Cushman, edited by Mark Alfred (Jacobs/Brown Press). This nearly 800-page tome is an exhaustive history of that period of the British group. 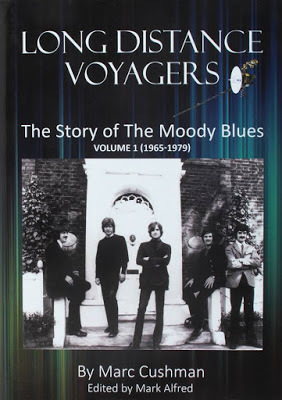 The book offers the first in-depth chronicle of its first lineup, which was made up of Denny Laine, Mike Pinder, Ray Thomas, Graeme Edge and Clint Warwick, who recorded the group’s debut album Go Now – The Moody Blues #1, which was entitled The Magnificent Moodies in the U.K., through the era that details the albums and tours of the band’s second and classic lineup, and ends in 1979. The group had ceased recording after the release of Seventh Sojourn in 1972. After the recording of their reunion album Octave, released in 1978, Pinder was replaced by former Yes keyboardist Patrick Moraz. Given the depth of this book, it’s hard to imagine a more definitive work on the group to ever appear.